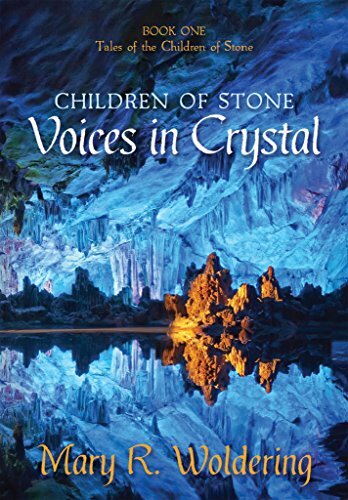 Altered Instinct: BOOK REVIEWS: Hobgoblin, by John Coyne; Steering The Craft, by Ursula K Le Guin; The Spider, by Maria Savva; Voices in Crystal, by Mary Woldering; Lineage: The Memory of the Sphinx, by CH Clepitt. BOOK REVIEWS: Hobgoblin, by John Coyne; Steering The Craft, by Ursula K Le Guin; The Spider, by Maria Savva; Voices in Crystal, by Mary Woldering; Lineage: The Memory of the Sphinx, by CH Clepitt. Welcome back to our regular review round-up here at Altered Instinct. A couple of changes have taken place in Amazon Land since our last round-up. Ordinarily, the reviews posted here have previously been posted as well to Amazon UK, Amazon US and Goodreads - but Amazon has changed its criteria for posting reviews. Now, a reviewer has to have spent a certain amount of money within the past 12 months in an Amazon store - so for example, I no longer live in the UK so don't tend to have a reason, or sometimes even a possibility, of spending money in that store. So sadly, I can't post to as many places as before. I feel a little sad about this - as posting reviews is a positive thing to do, whatever you may think about a particular book. I hope they reverse that policy, but we shall see. Members of the AI team will continue to post reviews wherever possible - sorry to writers in zones where we can't post to their local stores because of the new rules! Anyhow, back to some good reading - and starting off with Brent A. Harris reviewing Hobgoblin, by John Coyne, and Ursula K Le Guin's Steering The Craft. I'll hop in with my reviews after that. 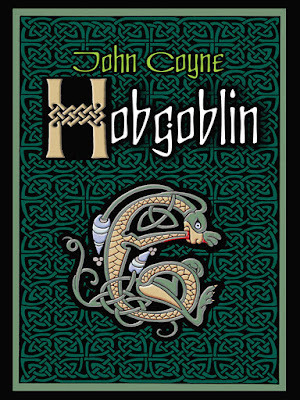 If you like games based around mythology and adventure, if you play Dungeons and Dragons, LARP, do SCA, or play Magic: The Gathering - drop your dice, cards, meeples, hand-forged swords, and go read John Coyne’s Hobgoblin. It was good, wasn’t it? Told you. Now, roll them bones, Brian Boru! 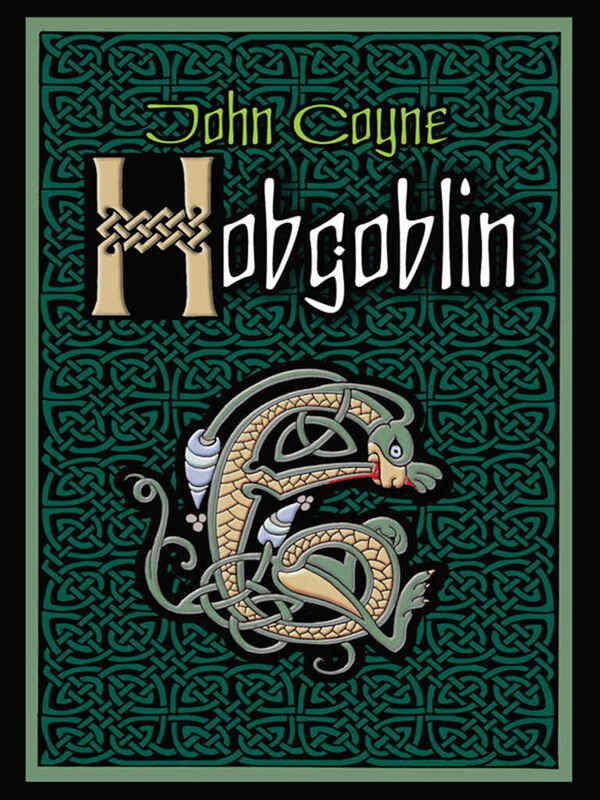 Hobgoblin mixes Irish mythology, roleplaying, and social outcasts, in a very real-to-life horror story set against the backdrop of Ballycastle. Our sword-swinging hero is Scott Gardiner, a high-schooler in New York, whose father dies at the same time his fictional character also falls in battle. Devastated, the lines between reality and fiction blur for Scott when they move to an old Irish castle (moved brick by brick to the States). Scott begins to see threats from Irish myth encroaching into daily life. But, he also must navigate the treacherous waters of high-school, as the new kid, where his RPG daydreams just don’t fit in. When bullies begin to cross the line to real, violent harm, the school intercedes to help Scott out, by suggesting students attend a Hobgoblin party (the name of the RPG which Scott obsesses over) at Balleycastle for Halloween. At the same time, a black annis – a creature of Irish legend, threatens the castle and all those who enter it. What I liked most about this book was that the horror was real. These are real people facing real problems, and what students go through as an outsider, particularly those who would rather spend their days playing card games over football, which can be terrifying (and also a bit relatable). The biggest issue is that Scott is a bit off-putting. He’s not sympathetic, or likeable. I almost think this was done on purpose, so that at times, you side with the bullies against him, which then places you in an uncomfortable position. Later, you begin to empathize with Scott, and relate to him, and once you can see things from his grief-stricken teenage adolescent, PTSD point of view, he takes on a much more heroic role. Hobgoblin is tight-woven narrative that will make you wish the game was real and the horror wasn’t. I was given this book by a very good friend of mine for my birthday awhile back. 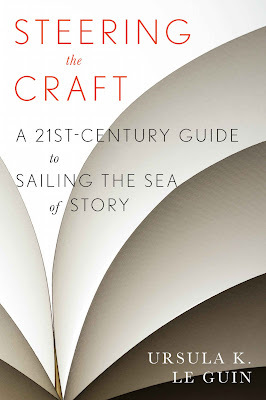 Given that this book is by the late Ursula K. Le Guin, whom I respect and admire, there’s no way I could give her book on writing anything less than five stars. She is a master storyteller and wordsmith. So, instead, let me tell you how the book has helped me. Each chapter is divided into one of those tough obstacles of writing: voice, tense, style, characters, adjectives and adverbs, etc. At the end of each section, there are examples by authors who do those things well. It’s straightforward: most books on writing follow their advice with examples. But, where craft sails past other books is in Ursula’s matter-of-fact voice that fans of hers will recognize, and in her exercises pulled straight from her teaching days. She’s not only someone who can do, she knows how to help others do it too. I’ve found taking the chapters one each week and doing the exercises the best way to approach the book and learn from its author. The book is great for readers of most ages. I’ve used some of her examples and exercises in teaching creative writing to 4th-6th grade students, and my 11-year old has stolen this book a couple of times – she’s enjoyed the exercises too. She’s going to be a much better writer than her dad. Dare I hope, the next Ursula K. Le Guin? Do you ever have a book that has been sitting on your Kindle for far too long? Well... this was one on mine. And I'm kicking myself for not reading it earlier. 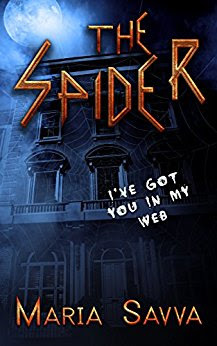 The Spider is a most unexpected novel. At first, it seems almost a very straightforward horror thriller. There's a bad man, doing bad things, and innocents are getting caught up in his plan. And yet... that seems to be resolved quite early on. It's the after-effects that linger. There is guilt. There are lies. There is deceit. And somewhere in the middle of it all, you find yourself in the centre of the web being spun around the central characters that may be entirely in their heads, or may be very, very real. The writing is deceptively straightforward, painting a seemingly humdrum world - under which things lurk and crawl and skritch-skritch with their otherworldly limbs. This is an intriguing book - and a thoroughly determined piece of world-building. Voices in Crystal is the first in a series set in the shade of Mount Sinai, and the author carves out a mythology that is rich and sumptuous. The story focuses on Marai, who becomes more than the simple shepherd he begins as, transformed by alien powers into... well, even he is not so sure what he is exactly. His powers seem god-like to those who knew him, and the world he grew up in is changed forever. Elsewhere, a pharaoh's son wrestles with his own destiny, his path to leadership foiled. Where will his path cross with Marai's? That would be telling! It's a big saga - a little light on action but exploring the history of the world in depth, and the psychology of its protagonists thoroughly. It can be a little slow as a result - only in that one needs to pay attention to the detail of the story to really appreciate it. Woldering really does create a whole new world to experience - and deserves plaudits for that. I honestly thought I'd reviewed this already - the day it came out, I gobbled it up, which shows how much I enjoy CH Clepitt's writing. This continues her Lineage series of short stories - stories of vampires and the legacy they have bestowed down the years. 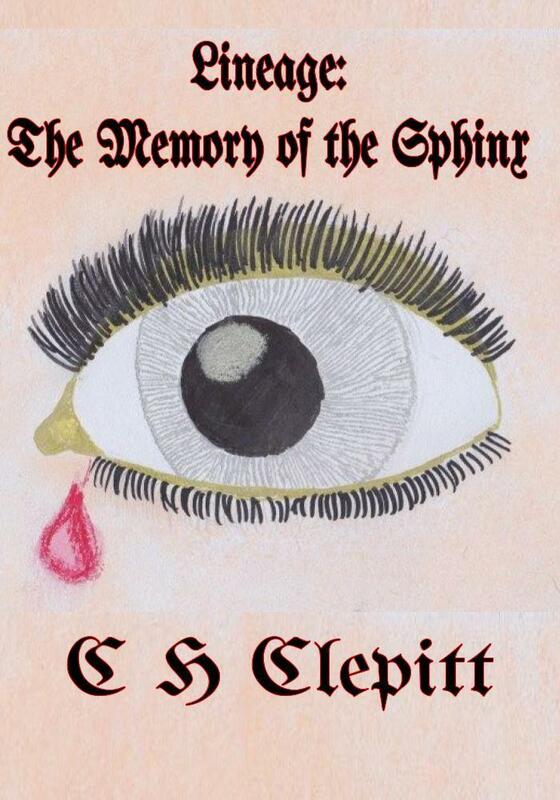 This time round, the author riffles in a whole extra legacy, that of the Sphinx, and the conflict that brings to the vampire family of the earlier titles. It's very neatly, nicely done, and broadens out the potential for this series of stories. What myths come next? I'll be here to find out when the next short in the series appears. Thank you so much. Glad you enjoyed The Spider! :) I'm working on the sequel at the moment, so this has given me more motivation to get it finished! Thank you both for the reads, enjoyed them very much!